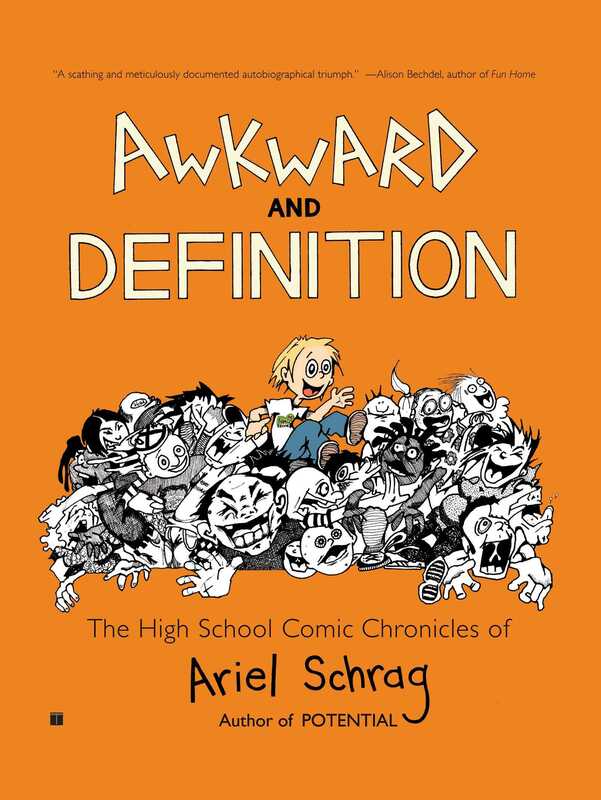 Ariel Schrag captures the American high school experience in all its awkward, questioning glory in Awkward and Definition, the first of three amazingly honest autobiographical graphic novels about her teenage years. During the summer following each year at Berkeley High School in California, Ariel wrote a comic book about her experiences, which she would then photocopy and sell around school. Some friends thrilled to see themselves in the comic, others not so much, but everyone was interested. Awkward chronicles Ariel's freshman year, and Definition, her sophomore year. With anxiety in excess and frustration to the fullest, Ariel dives in -- meeting new people, going to concerts, crushing out, loving chemistry, drawing comics, and obsessing over everything from glitter-laden girls to ionic charges and the constant pursuit of the number-one score. Totally true and achingly honest, with every cringe-inducing encounter and exhilarating first moment documented -- Awkward and Definition is an unflinching look at what it's like being a teenage girl in America. "An imaginative anthropologist of the post-punk set." "Schrag's perceptiveness and incredible eye for detail make Definition brilliant. Rarely have I seen such substantial work come from a person of her age." "A scathing and meticulously documented autobiographical triumph."